We all like to have hot water at our fingertips, but itâ€™s important that even hot water be filtered for purity. Along with being the creator and worldâ€™s largest manufacturer of garbage disposals, InSinkErator is also well known for their high quality instant hot water filters and dispensers. Adding an InSinkErator water filter to an instant hot water system can help ensure itâ€™s stays free of harmful minerals, metals and other contaminants. Discount Filter Store carries Insinkerator Hot Water Dispenser Filtration Systems and Instant Hot Water Dispenser Replacement Cartridges. These cartridges are perfect for a variety of instant hot water dispenser, refrigerator, icemaker and many other drinking systems. If youâ€™re not sure which filter you need, we invite you to contact us or call 1-800-277-3458 to speak with a filter expert now. Discount Filter Store takes pride in putting customer service. 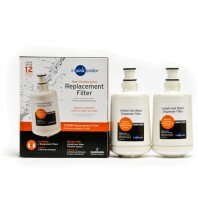 With our help, you can find the most efficient and high performing filter for your system.